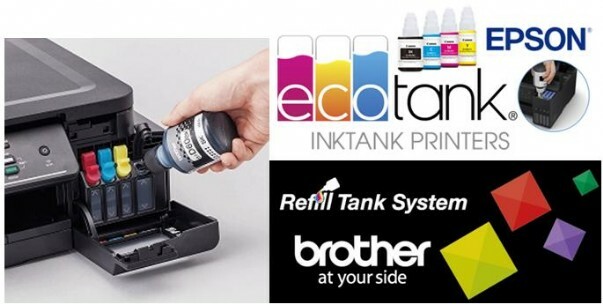 This next generation, 3-in-1 EcoTank comes with up to three years' worth of ink included1. It's easy to use, reliable and compact. Keeping costs under control is simple with this 3-in-1 EcoTank as it comes with up to three years’ worth of ink1 included in the box. This means it can save you up to 90% on the cost of ink. With its enhanced ink filling system and new ink bottles engineered to minimise the risk of spills, this compact model proves a reliable and easy-to-use solution for printing in high volumes. Three whole years1 – that’s how long you could go without buying more ink for the L3110. This means it can save you up to 90% on the cost of ink. Giving you an extremely low cost per page, it produces up to 8,100 pages in black and 6,500 in colour with the included ink. 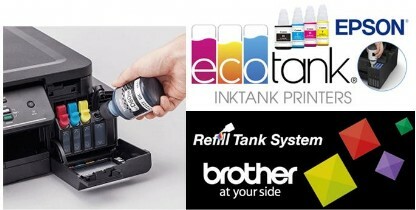 With the equivalent of up to 82 cartridges' worth of ink2, you can go longer between refills with this EcoTank printer. 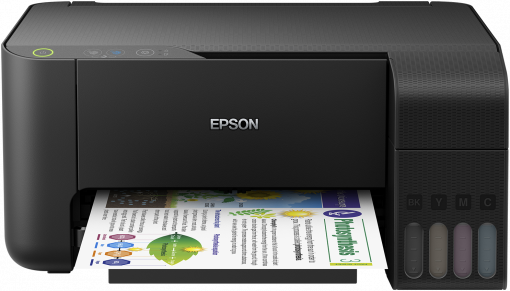 It uses an ultra-high-capacity ink tank to completely remove the need for cartridges. In addition, with this 3-in-1 you can take advantage of print, scan and copy features. Thanks to the ink tank being positioned at the front of the printer, this new design is compact, provides easy access for refilling, and a clear view of the ink levels. It features an enhanced ink filling system engineered to minimise the risk of spills and mess. The new bottles incorporate a mechanism that ensures only the right tanks are filled with the corresponding colour.